I didn't plan to see Bride Wars until Trish suggested that our crew watch it together. It was fitting. 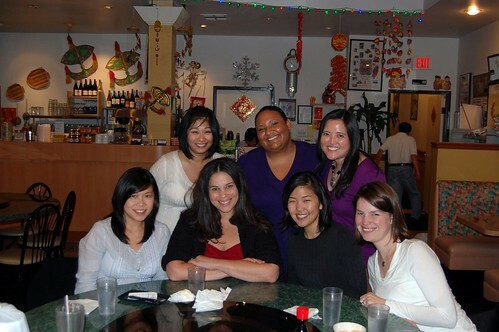 We all met each other during wedding planning. During the previews, someone guffawed loudly and uncontrollably. I asked, "Who the hell is laughing so hard at this?!" It was Wan, several seats down from me. Classic. I sat between tater and Lilcee, who graciously tolerated my groaning and snide remarks during the film. The best part was not even actually in the movie. Some idiot in the audience very audibly gasped in total surprise at a completely obvious plot [not-so-]twist. The theater erupted in laughter at this idiot. 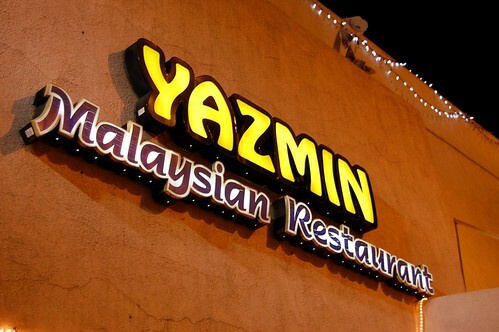 After 90 minutes of predictable fodder, we walked around the corner for dinner at Yazmin (27 E. Main Street, Alhambra), a Malaysian restaurant, not a birth control dispenser. This was only the second time I'd ever had Malaysian cuisine. 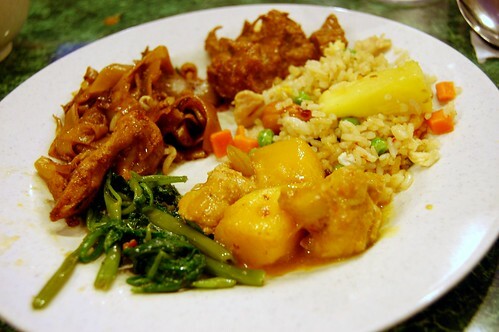 I've concluded that, while it's tasty, I still prefer the "origins" of Malaysian food more -- Chinese, Indian, and Thai food are all tastier to me in their respective purer forms. 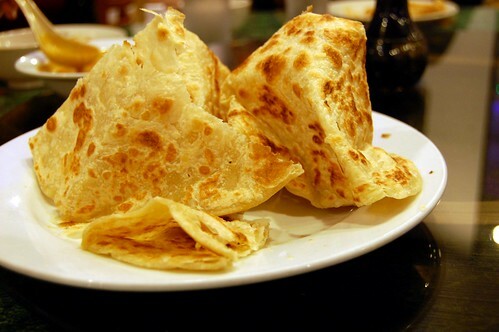 Roti canai ($4.25). Loved this. 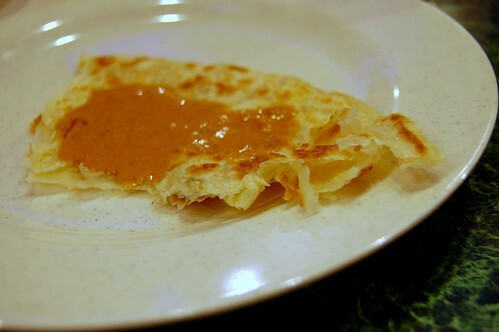 It's somewhat naan-like and perfect with curry. Char kuei teow ($7.55). 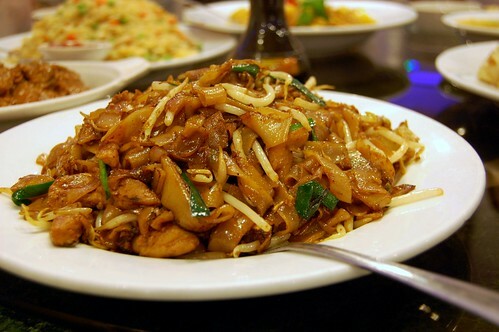 These Penang-style stir-fried flat rice noodles with bean sprouts, shrimp, chicken, egg, and leeks are reminiscent of pad see ew. 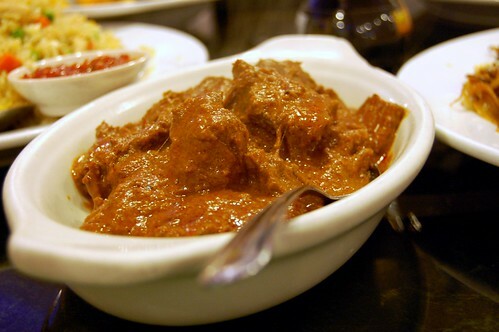 Beef rendang ($8.95). 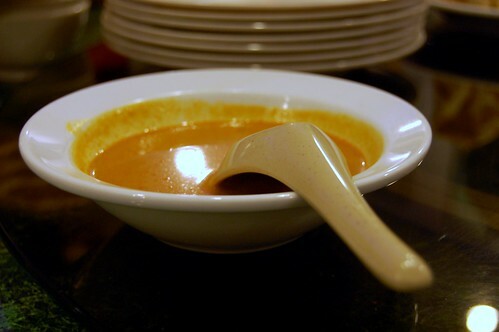 Chunks of beef simmered with coconut and lemongrass in a rich curry sauce were perfect to ladle on top of coconut rice. I wish the beef had been a bit more tender. 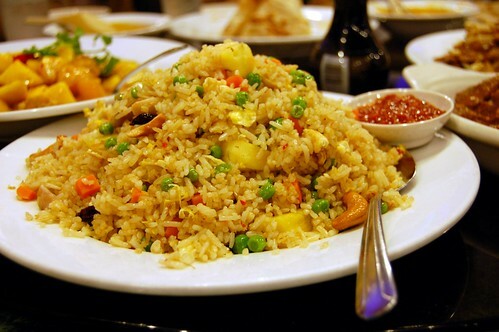 Pineapple fried rice ($6.95). The fried rice with pineapple, shrimp, chicken, carrots, and peas wasn't bad, but I've certainly had better. 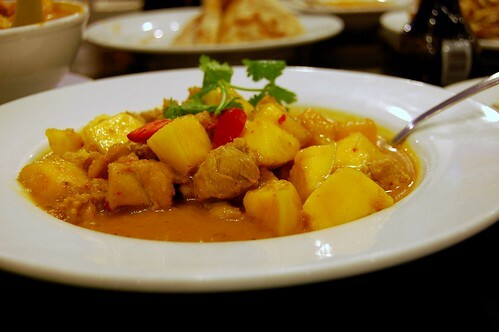 Ayam masak mango ($7.95). This chicken with garlic, ginger, onions, and chunks of fresh mango in a tamarind coconut curry sauce was an interesting mix of flavors. Spicy. Sweet. Tangy. Curry laksa ($6.75). 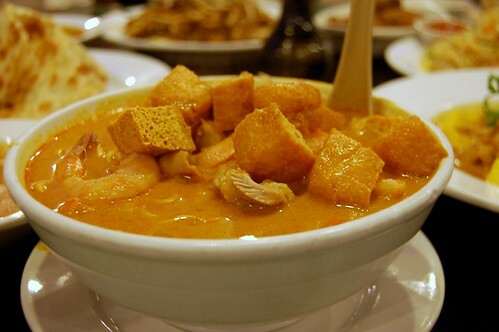 These egg noodles with shrimp, chicken, and tofu in a light curry soup were perfect for a cool evening. 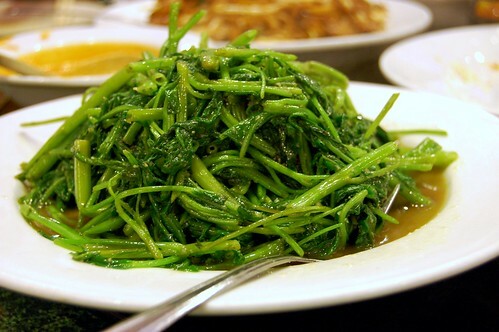 Garlic kangkong ($8.95). If you are an avid reader, you already know I love ong choy (water spinach), so this was an instant winner for me. 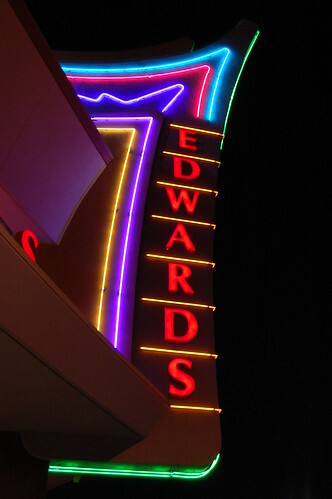 I enjoyed our meal at Yazmin, and I would definitely go back for a meal if I went to a movie at the Edwards Renaissance. I'm not sure, however, if I'd make the trip for the restaurant alone. 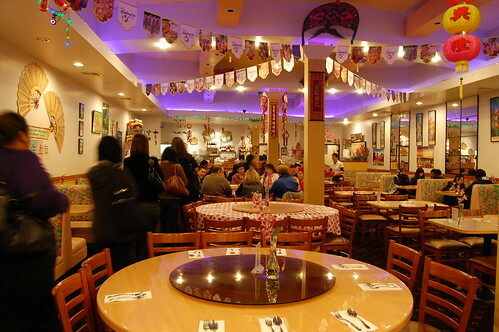 The portions are generous and the flavors strong, but the place won't knock your socks off. But, hey, it all came out to just $12 per person, including tax and tip. R came with her hair straightened tonight, and this was the first time I saw Amber with her new haircut. Don't they look particularly cute? So sad to have missed it. lovely recap. and i completely agree re: yazmin. whoa. the last photo is flipped. Bummed you guys weren't "Engaged at Yazmin." dude, she FELL in the HOLE. looks like fun! crappy movie and so-so food excluded. At our local Malaysian restaurant they serve a "yam pot." It's a basket made out of crispy yam on the outside, soft on the inside. (I think it's deep fried.) It's filled with chicken, shrimp, cashews, veggies, and a yummy sauce. 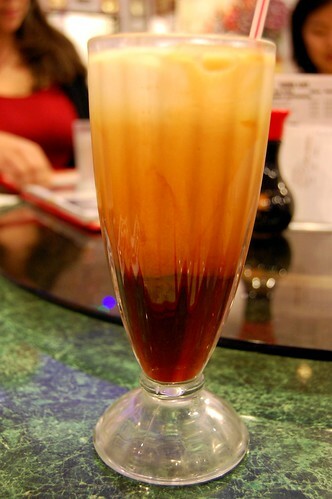 If you ever see it, you should order it! I've been to Yazmin and felt the same way about the food. Love the hair dos on the ladies! but let the record show I totally knew where the plot was going with the 'controlling' fiance! the roti and water spinach were my favorites, although it was all tasty enough. 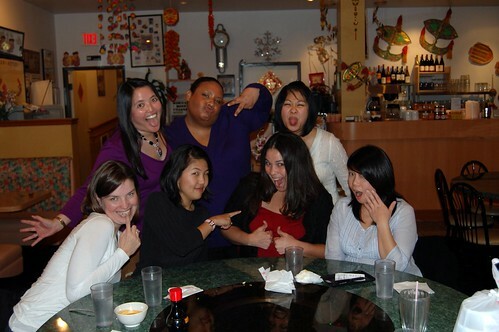 such a fun evening with you gals! Bride Wars, huh? Sorry friend. The food *looks* really good, despite the apparent mediocrity. I thoroughly enjoyed the movie. Sitting next to you was such a crack up. My fave is still the roti. The food looks A-OK to me! I love the last 2 shots, especially the last one. The hair and Trish's gangster pose are too much. Good times!